Bill Nelson has over 35 years of experience in the marine industry and has most recently managed his own marine consultants company which provides consultants in the areas of yacht brokerage, new construction and marine surveyors. He is joining Curtis Stokes & Associates because of the opportunity to reach a broader client base where he can apply his expertise in all facets of brokerage, management and cruising. “Bill has not only managed the buying, selling and service of a wide range of yachts but he has also worked on yachts from 194’ to 65’ as a project manager and captain. This type of firsthand experience is very valuable to our clients,” says Curtis Stokes, President of Curtis Stokes & Associates. Bill was introduced to boating at the age of 16 when he started club racing at Mentor Harbor Yachting Club, located just outside of Cleveland, OH. Soon after attending Bowling Green University in OH, Bill moved to Ft. Lauderdale to pursue a career in the yachting industry by starting as a deckhand. Since that time Bill has compiled a significant track record in all facets of the marine industry. In addition to owning and operating his own full-service brokerage, charter and management company, Bill holds a USCG 1600 ton license and has extensive experience in vessel design, construction and repair including having managed the refit of a 194’ Amels Motor Yacht. 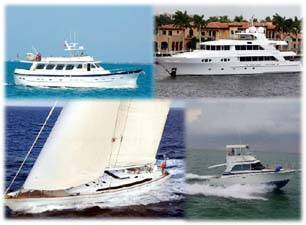 Through his time managing and captaining a variety of yachts Bill has gained cruising experience all along the east coast of the U.S., Great Lakes and inland waterways, the Bahamas, Caribbean, Gulf of Mexico, the west coast of Central America, the Mediterranean, Red Sea and the Indian Ocean. “I believe my success is due not only to my strong technical knowledge of yachts but also my attention to detail and superior customer service skills. The Curtis Stokes & Associates team is a great match for my own passion and skill sets,” shares Nelson. 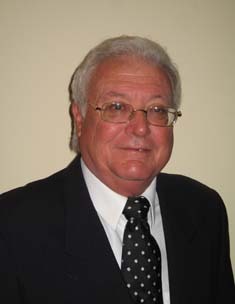 Bill Nelson will be based in Fort Lauderdale and will be a lead contact for yacht sales in the southeast region. He can be reached at bill@curtisstokes.net or 954.328.0074.